A SCHOOL CARETAKER who hid a camera in a toilet used by staff has been jailed for 16 months. 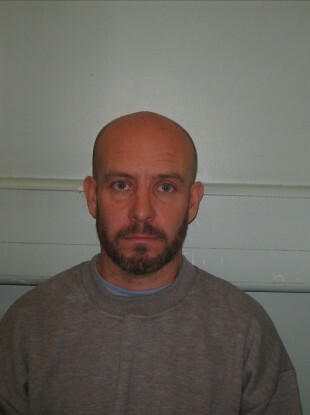 Peter Harris, 45, of Leicester Road, Barnet in London was also placed on the sexual offenders register. He pleaded guilty to installing equipment to record a person doing a private act, adapting a structure to record a person doing a private act and to 21 incidents of recording an image of a person doing a private act. Harrow Crown Court also heard Harris plead guilty to possession of four indecent images of children. The offences came to light when a member of staff at the school discovered a camera taped to the side of a locker in the school’s disabled toilet. The camera was aligned to a hole in the side of the locker pointing at the toilet. Once police were contacted and an investigation was launched, Harris approached officers and advised them the camera in the locker belonged to him. He also showed officers a bag containing USB sticks and VHS tapes, which he said may be of interest to police. A small number of the images were indecent images of children. Police identified the images as category C – which is the lowest level of offending. During a search of the school, a hole was discovered in a jacket belonging to Harris and it appeared that it was for a camera to view through. Police also discovered that a plastic paper dispenser in the staff shower room had been tampered with and a hole had been drilled into the side of the dispenser in the line of sight of the shower. Inside the dispenser was silver tape, which was the same as that used to hold the camera to the locker in the toilet. Police established that Harris was the only individual who had access to the dispenser, which was locked by a key. Harris was subsequently arrested and charged, pleading guilty to the offences. Harris has abused the trust of the staff, children and parents of this school and I am pleased with the sentence he has received today. Email “School caretaker jailed for hiding camera in staff toilet ”. Feedback on “School caretaker jailed for hiding camera in staff toilet ”.